‘That’s what I love about you, Cat Royal, always spoiling to take on all comers, setting the world to rights. Don’t you ever give up!’ Fans of the young heroine whom we have met in Julia Golding’s four previous ‘Cat Royal’ novels will not dissent from the compliment paid to her here in the fifth, a book which enjoyably and entertainingly moves along at a lively pace and is well endowed with colourful good humour. The year is 1792, the setting (initially) Philadelphia and Cat is about to have the opportunity to indulge her thespian proclivities as she joins a travelling company of actors, presided over by the redoubtable – if occasionally mendacious – Mrs Peabody. 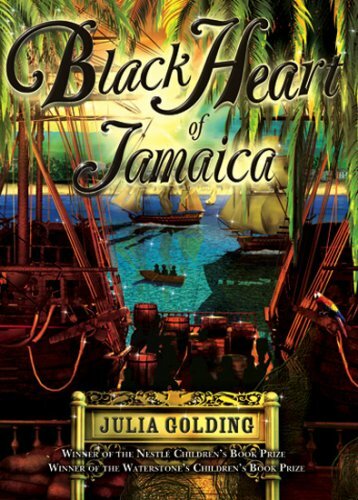 First stop on their theatrical tour is Jamaica, which is where the action really starts as Cat becomes increasingly embroiled in the island’s ‘black heart’, encounters some very unsavoury characters and finds herself more and more aware of ‘the stench of the trade in human flesh’ which pollutes the environment. What is referred to later as her ‘talent for loyal, unswerving friendship’ is well put to the test in a picaresque sequence of incidents, but it is the depiction of her determination to adhere to this loyalty which gives the novel its greatest strength, to which must be added the fact that Golding’s grasp of the historical background is employed relevantly and convincingly.